For many, being an innovator conjures a vision of being the one out in front, alone, and it can certainly feel that way at times. All at once it seems like a big adventure and a scary proposition with uncertain rewards, but known risks. You may have a lot of questions to ask about your path but worry no one else is on it. It feels like something you kind of want to tell everybody about, but also don’t want anybody to know. The teacher who is trying something new may purposely close his door and not talk about it in case it fails. The school leader who is working on new strategies may keep quiet about them in a meeting with others, in case her peers try to dissuade her. The superintendent who wants to make her district radically different may feel like she is the only one trying to do this big thing or if she isn’t the only one, not know how to find others who think like her. So at a time when the support and ideas of others would help the most, we often are the least likely to receive them. It is hard to make something better each year and yet, somehow, as I reflect on the Education Elements Personalized Learning Summit 2018, it feels like we have done it. It’s five days since the Summit ended and I am still energized by the energy and passion of every one of the 750 people who attended. I am still excited about the ideas I heard and looking forward to talking more to the people I met. I am still amazed that we pulled it off. 750 people is a lot of people for a conference that four years ago had less than 150! Epic Lip Sync Battle. I almost feel like I could both start and end this post with just those 4 words and a short description of what it was like to be in a room full of educators singing and dancing their hearts out (some in costume!) on Thursday night of Education Elements' 3rd Annual Personalized Learning Summit. But then I’d miss out on all of the other amazing moments, like Anthony Kim interviewing Kaya Henderson while wearing a sparkly gold jacket, or Ray Owens leading the entire conference in singing Row Row Row Your Boat as a wave, or Brad Montague making many people (not just me, although I was among those wiping my eyes) both cry and laugh. The truth is the whole PL Summit was epic. Four years ago the team at EE had an idea...what if we brought together groups of personalized learning leaders in regional Blended Learning Leadership Academies (BLLA) to help spread innovation and best practices? We hosted these BLLAs for two years across the country, from Chicago to Washington DC and San Francisco. We facilitated collaboration time, hosted choice workshops, shared out highlights from the past year, and hosted silly photo booths. I was blessed to become a Personalized Learning Lexington Education Leadership Award Fellow (2nd Class) back in December of 2015. Education Elements not only influenced my personal work, but it motivated me to make learning meaningful for my students (all 4,970) in an exceptional way. 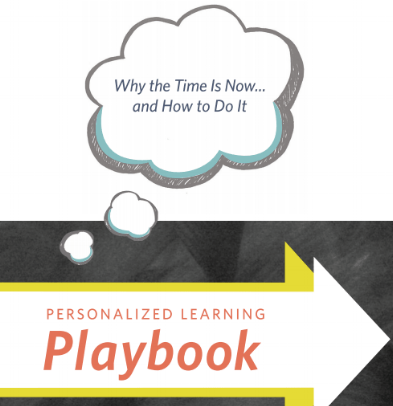 My work in personalized learning has been inspirational in my district. Every district educational leader will always answer yes to certain questions. So, if you ask leaders if they use data to drive instruction, the answer will be yes. If you ask if leaders embed small group learning into their districts, the answer will be yes. If you ask if leaders utilize digital tools to help students make educational learning gains, the answer will be yes.